You must be a member of the Cluj-Napoca Around Town Group to attend this activity. Would you like to join this group? I am going at least 2 times a week to practice climbing, so I want to test if there are other climbers in InterNations Cluj. 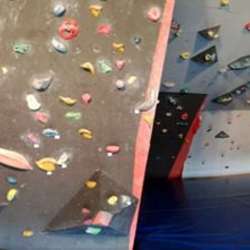 Join if you like climbing or you would like to try. To find the venue (you can get there by bus, car or taxi) , it is across the street to Lidl, just in the curve and you can se a white banner with the second picture at the entrance. The climbing room is the last entrance at the end of the yard, which is a big dark, but is well signalled. Please don’t forget to register for this event by clicking the accept invitation button. If something happens and you cannot attend after all, please let us know either by changing your event participation status on the event page or by sending us a short message. It would be useful to know, so we don't all attend there for people who are not coming. I am doing this on a volunteer basis, so I don' have enough extra time to ask everyone one day in advance. Looking forward to meet you there!